The Kerckhaert Triumph Aluminum Degree Horseshoes are popular horseshoes. These wedged horseshoes offer lift and are used by Western Pleasure and other riding horses. 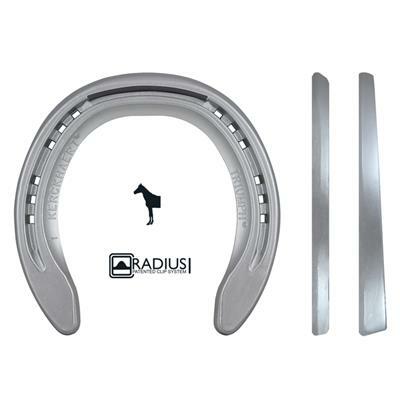 The Triumph aluminum wedge horseshoe comes in Sizes 000 up to size 3. These horseshoes are Punched for 5 Race or 5 Slim horseshoe nails. Aluminum Horseshoes are widely used as glue on horseshoes. They are light, and the adhesives seems to hold well, offering a secure application.